Florida takes driving under the influence (DUI) incredibly seriously. Even a first-time offense can lead to harsh punishments, like losing your license, spending days in jail, and paying a fine. If you are charged with a second or subsequent offense, the statutory penalties are even worse. That is why you should work with an experienced attorney to build the strongest defense possible for your case. Lack of reasonable suspicion for the stop: Police officers must observe behaviors or circumstances that reasonably lead them to believe you were operating a vehicle while intoxicated. These circumstances may be that you were swerving, driving far below or over the speed limit, had alcohol containers in the vehicle, or broke some other traffic law. If the police did not have reasonable suspicion based on verifying facts, then your attorney may ask for the charges to be dropped. Improperly administered or graded field sobriety tests: Police officers will often ask drivers to submit to field sobriety tests to gather evidence of impairment. There are only a few field sobriety tests approved by the National Traffic Highway Safety Administration, and these must be administered and graded properly to be accurate evidence of a DUI. If you were given an unapproved test or you believe you were unfairly judged on your performance, call an attorney immediately. Improper arrest or lack of Miranda rights: Police officers must follow the rules when arresting you for a DUI. This includes reading your Miranda rights, which means telling you that you have the right to remain silent, anything you say can be used against you in court, and you have the right to attorney. If you cannot afford an attorney, one will be appointed by the courts. If you were not read your rights upon your arrest, it may be invalid. Inaccurate chemical test: One of the most common ways officers use to prove a DUI is through a chemical test, such as a breath, urine, or blood test. As much as you hear about these tests on the news, they are not perfect. These tests can be improperly administered or flawed due to poorly calibrated – or uncalibrated – equipment. You should work with an experienced DUI defense lawyer who understands how these chemical tests work and how they can be attacked. 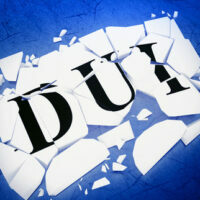 Lack of evidence of impairment: You may have been arrested for a DUI despite there being little evidence of impairment. If you were arrested despite blowing under a .08 percent blood alcohol content, your attorney may have a strong argument that the police officer was wrong. Prescription or over-the-counter medication: There are many medications that can make a person drowsy or appear inebriated. Even common OTC cold medicine can do this if you take too much. If you were using a prescription or OTC medication that caused symptoms the officers mistook at signs of intoxication, a lawyer can use this as a defense. However, this is not a perfect strategy as you can be convicted of a crime for operating a vehicle while impaired due to medications. A medical condition: Some medical conditions can affect your physical and mental capabilities, which officers can confuse as signs of intoxication. If you slurred your words or had eye movement similar to a person with a higher BAC due to a medical condition, speak with an attorney right away. A medical expert witness can help prove you were not drunk. You were not driving the vehicle: If an officer ticketed you for a DUI when you were in your vehicle but not driving, you should fight hard against the charge. If the officer never saw you driving, then he or she is unlikely to have had reasonable suspicion of a DUI. If you were charged with a DUI, do not hesitate to seek legal advice from the experienced Kissimmee criminal defense lawyers of Salazar & Kelly Law Group, P.A. at 407-483-0500. Call us today or reach out online to schedule a free initial consultation.